The length of time it takes for a cow to resume fertile cycles after calving directly affects the reproductive performance and efficiency of a cow-calf herd. Dr. Robert Larson, professor of production medicine, collaborated with Dr. Doug Shane, Dr. Mike Sanderson, Dr. Matt Miesner and Dr. Brad White to develop a model investigating the effects on herds with differing lengths of time to resume fertility after calving. Ideally, the average cow in a herd takes 50-60 days to resume cycling following calving when the cows are in good body condition. 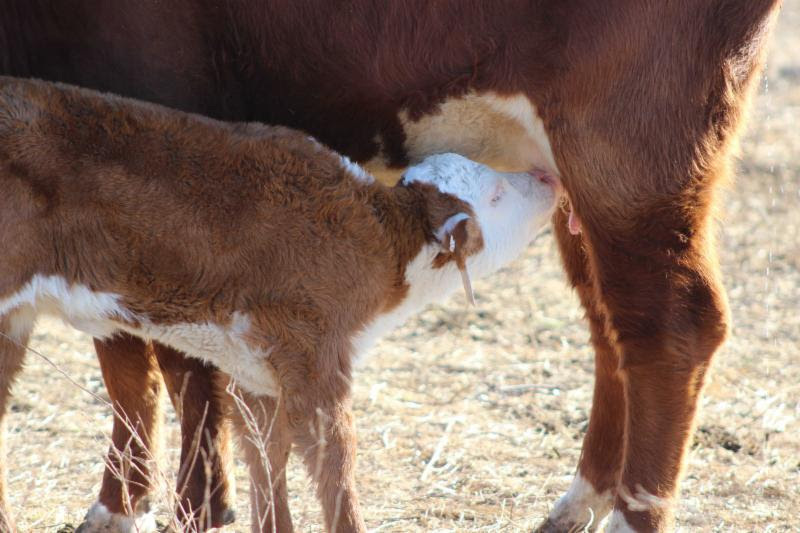 However, herds with a high percentage of thin cows, cows that experienced calving difficulty, or cows that are slower to resume fertile cycles after calving due to presumed genetic reasons may average slightly to much longer length of post-calving infertility. While the differences between a herd with optimal reproductive efficiency and less efficient herds can be difficult, if not impossible to see outwardly, the model provides quantitative evidence of change. In a separate study, the group developed a 10-year model determining the effects of breeding heifers before mature cows. One of the challenges when managing the length of post-calving infertility is to ensure that the youngest group of cows that just had their first calf are ready to breed by the start of the breeding season. These young cows tend to take longer to return to fertility than mature cows and good reproductive management of this important age-group starts long before they are bred for their first pregnancy. While breeding replacement heifers earlier than the mature cows provides benefits, it also requires additional management and may be inconvenient. The second model investigated how to select the optimum length of time to breed heifers ahead of mature cows. While the optimum heifer lead time is different for different herds, in general, the greatest bang for your buck occurs when heifers are bred to calve three to four weeks ahead of mature cows. While breeding even earlier provides additional benefits, the amount of improvement in reproductive efficiency decreases with each week earlier that heifer breeding is moved. Read the published abstracts, papers and key study findings on our website.